This program brought copies of real logbooks from British whaling voyages in the Canadian Arctic to Grade 10 students at Robert Thirsk High School. Under the direction of AINA postdoctoral researcher Dr. Matthew Ayre and Warren Lake, Biology and Natural Science Teacher at Robert Thirsk, students transcribed the logbooks and recorded climatological information noted by the whalers, such as temperature, wind, ice conditions, and wildlife sightings. Through their efforts, the students contributed to AINA's scientific study and helped build a hundred-year climate record for the Baffin Bay region. 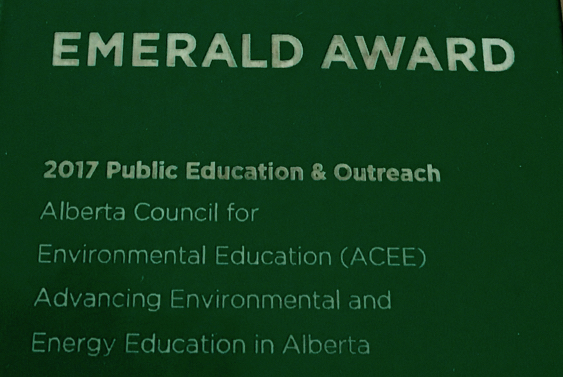 By participating in this citizen science program, the students learned about historical climatology, climate processes, and the historical and current impacts of climate change on the Canadian Arctic. 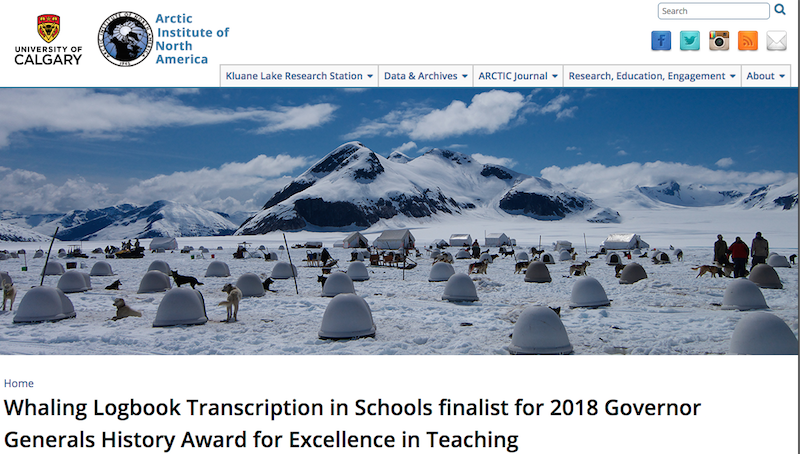 This project has been selected as one of the 25 finalists for the 2018 Governor General's History Award for Excellence in Teaching.